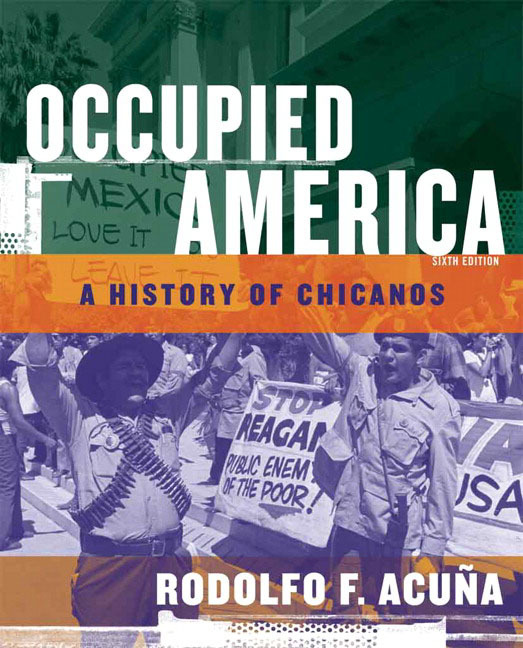 Unfortunately, the banning of books by Mexican Americans in Tucson last week was not an isolated incident. It’s part of a larger pattern in American education. At the elementary school level, it takes the form of resisting bilingual education for students whose family language is not English, and—for example—still teaching “Thanksgiving” as though it were the happy, peaceful start of a triumphant positive march towards a shining, splendid American empire. At the middle school level, it’s about teaching Egyptian history—mummies, anyone?—instead of Native American or Mexican history. Mummies are safe—there’s no politics left in them, they’ve been dead too long. In high school, students are asked to stand and pledge allegiance by rote to the American flag representing “one nation, under God, indivisible, with liberty and justice for all,” but not asked to interrogate the proposition that liberty and justice really are available to all in our great land. In undergraduate education, after a brief, highly contested period in the 1980s and 90s when the gates guarding the required curricula were wrenched open to let literature by ethnic minorities and women in, the tides have turned again. The modern Greeks may be struggling, but the ancient Greeks are alive and well and generously represented in curricula throughout the Western world, where ancient figures like Plato, Sophocles and Aristotle still exert remarkable influence. Meanwhile, graduate schools in the humanities are focused on jazzing up the study of history and literature through fancy digital applications. I’m as digitally oriented as the next prof, but I won’t support “digital humanities” if it means that we no longer have the time or resources to engage in what I see as the most important functions of the humanities: teaching students how to analyze and wield the tools of narrative and argument; giving them the time and space to explore complex ethical issues; and most of all, empowering them to become informed, autonomous individuals who can research and think for themselves. In theory, this could be done within a digital framework. But the problem is that much of the push towards “digital humanities” is coming from the great surge towards online education as a business model for universities. Of course you can do online education much better if you have high-tech online tools. No argument there. The problem is the bigger picture of online education, where tenured professors are being replaced with adjunct faculty who can teach in their pajamas from home, at a fraction of the salary or responsibility and no influence at all over what gets taught. If you have an army of part-time online instructors working with students from remote locations all over the world, it’s pretty hard to have the kind of discussions that I’m remembering from my department’s deliberations over the core curriculum. Most decisions over what gets taught in those burgeoning online courses are made by administrators who remain faceless to the instructors, with the result that professors become paid employees rather than professionals who are not only engaged in the process of teaching, but also in the process of deciding what gets taught. It’s as easy as the push of a button for some administrator to decide that HUM 26X, Chicano/a History, will not be taught, while HUM 25X, History of Ancient Greece, will. And for the most part, no one will even notice. This is going on all the time. The incident in Tucson last week, when administrators were so sloppy as to order physical books pulled from the shelves, was a rare slip-up that brought the insidious practice of censorship into the public eye. Most of the time it’s going on invisibly, under the radar, and so subtly that most of us won’t notice it until all of a sudden we look up and find that there are only a handful of Ethnic Studies Departments or Women’s Studies Departments left in the country, so there are hardly any graduate degrees being offered in those fields, so within a generation the whole hard-won movement to open the curriculum will be gone. No, I am not over-reacting. I am not hysterical. I am not crazy. Open your eyes, people, and you will see what I’m talking about. Open your eyes, before it’s too late. Shades of an American Kristallnacht? Every time I hear more bleating from the radically religious, I remind my friends of Margaret Atwood’s book THE HANDMAID’S TALE. Everyone needs to read that book and pay attention to what is going on in our beloved country. I tremble in fear over those who just go along to get along! I fear that one day, soon, we shall waken to a dictatorship that is fearful in it’s methods and control! Thank you for sounding the alarm. Storytelling and Resistance: Whose Narratives Are You Listening To? What Stories Are You Telling?